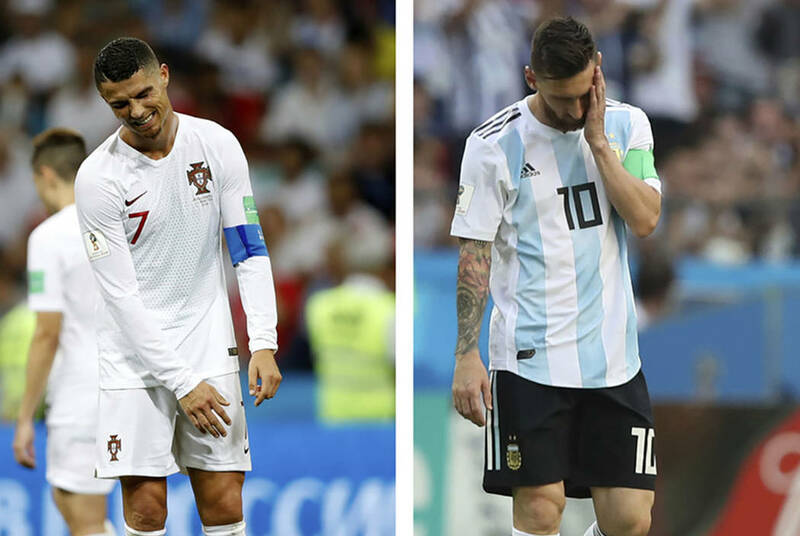 The two most recognizable names in global soccer were eliminated from the World Cup on Saturday, Lionel Messi and Cristiano Ronaldo. 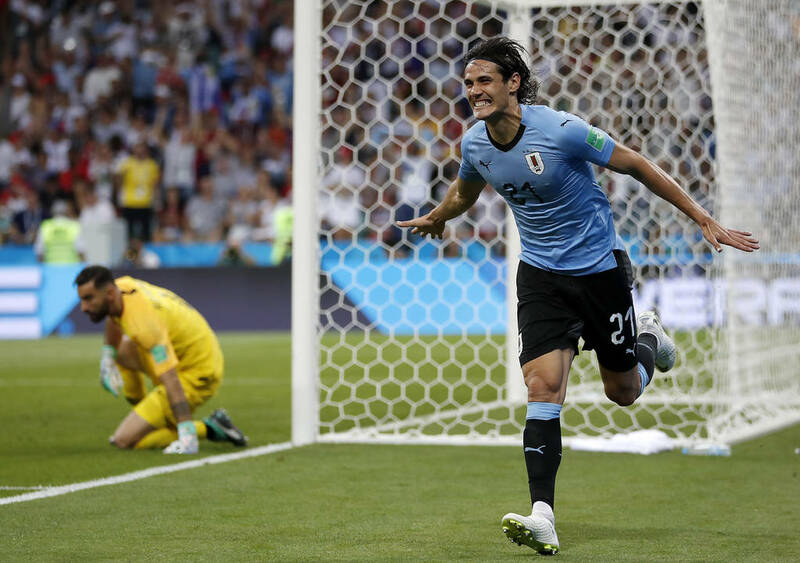 SOCHI, Russia — Edinson Cavani upstaged Cristiano Ronaldo, first with his head and then with his right foot, and sent Uruguay to the World Cup quarterfinals. Cavani now has three goals at the World Cup, but limped off in the 70th minute with an apparent injury and had to be replaced. He was helped to the sideline with his arm around Ronaldo’s back. “Right now we are only worried, but we don’t know how grave this injury is,” Uruguay coach Oscar Tabarez said. 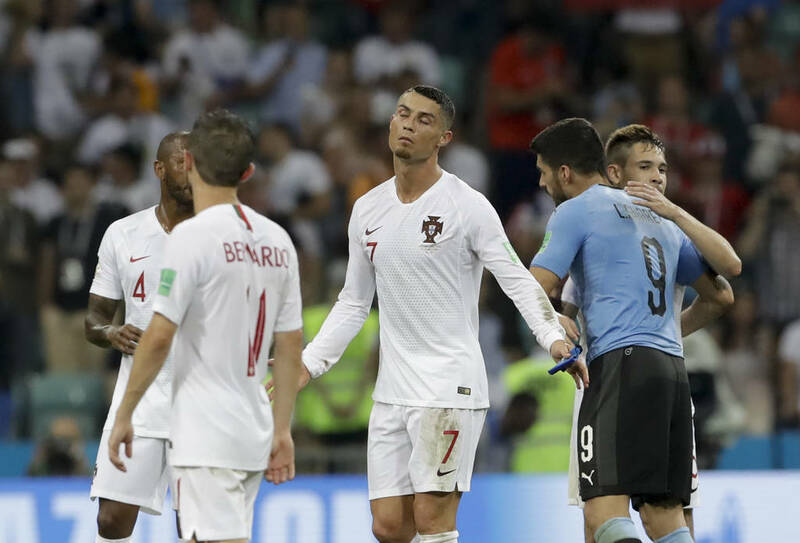 Portugal had chances in the second half, including a frantic final few minutes of stoppage time with claims of a possible handball in the penalty area from a late corner kick. 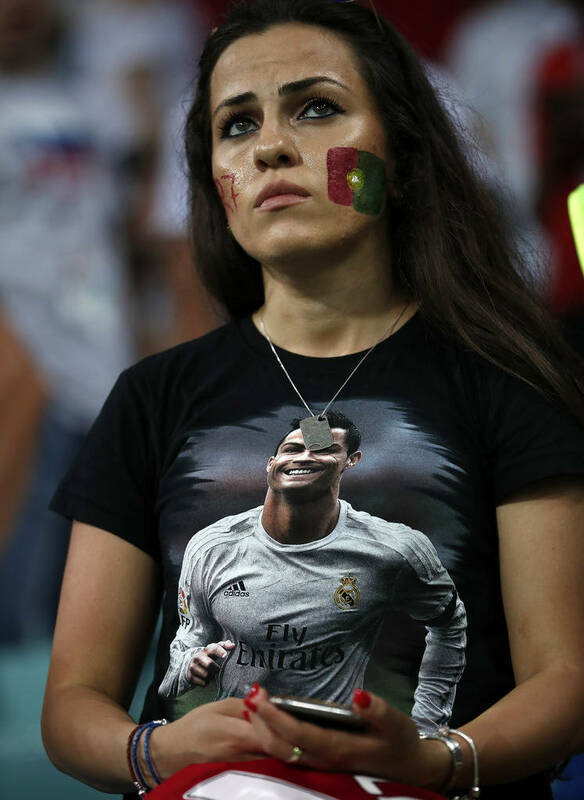 But there was no late video review to benefit Portugal as Ronaldo’s fourth World Cup came to an uneventful end. 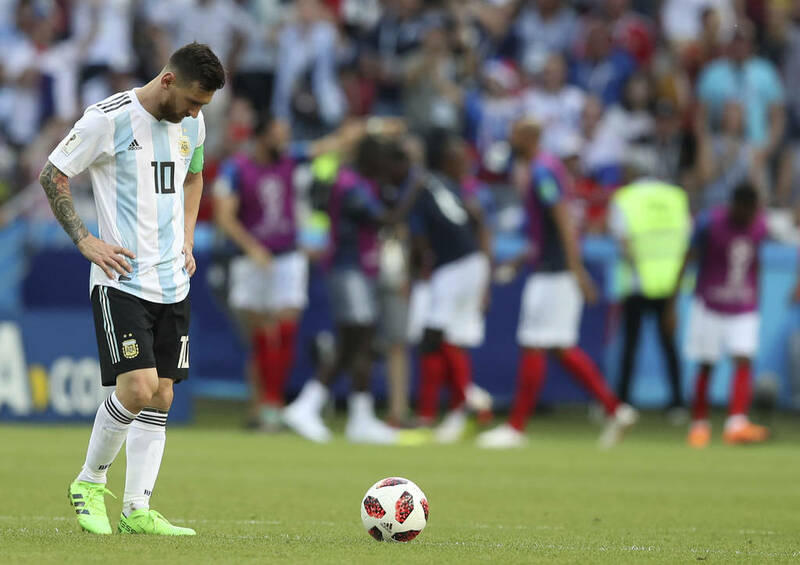 KAZAN, Russia — What Lionel Messi has never done, 19-year-old Kylian Mbappe did twice. The quick-footed French teenager scored two goals in a five-minute span of the second half to help his team rally for a 4-3 victory over Argentina. Saturday’s victory gave France a spot in the World Cup quarterfinals. Mbappe was a constant threat to Argentina’s creaking defense with his speed and skill and was at the heart of France’s often-breathtaking display, particularly in the middle of the second half.